As promised, here’s my cover for The Awakening. Click here to download, but I’ll have to add background notes to the site later as it’s been a tough day and I need some sleep. This, of course, finishes off the Davison era on DVD, only the second of the first seven Doctors to have his complete run released. 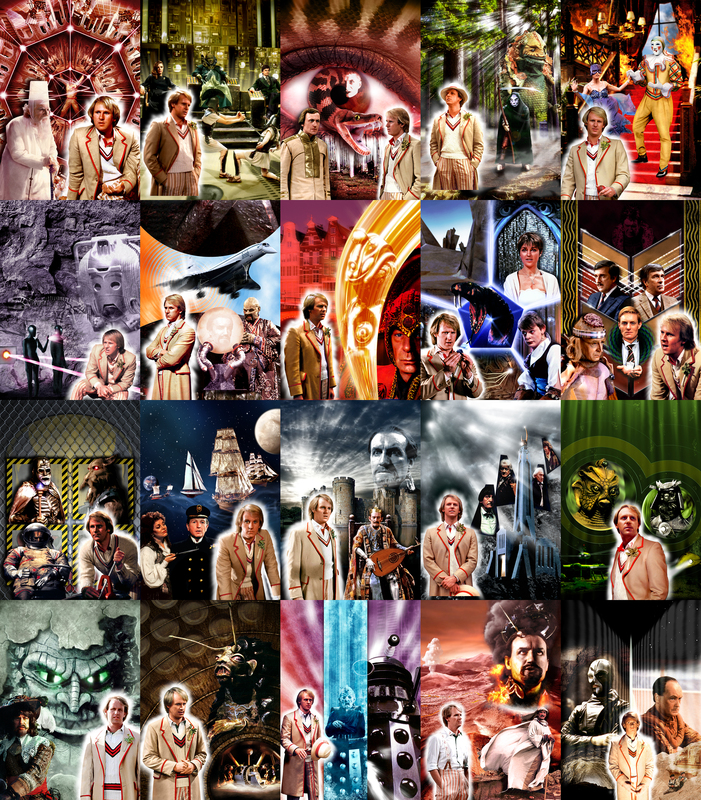 So here’s my complete Fifth Doctor cover collection – click on the image for a larger version.